With the passing of hockey legend Gordie Howe last Friday, we pay tribute to one of the greatest players in hockey history, today with our third installment of Gordie Howe Week here at Third String Goalie. 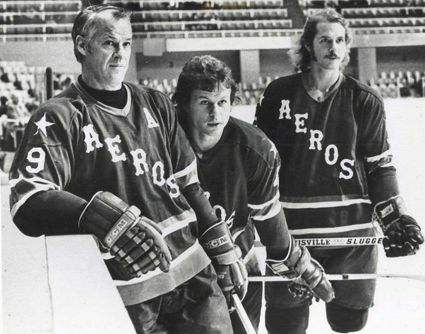 The Houston Aeros of the WHA were originally slated to play in Dayton, Ohio, but never got off the ground, so owner Paul Deneau moved the club to Houston, Texas in time for the inaugural World Hockey Association season of 1972-73. 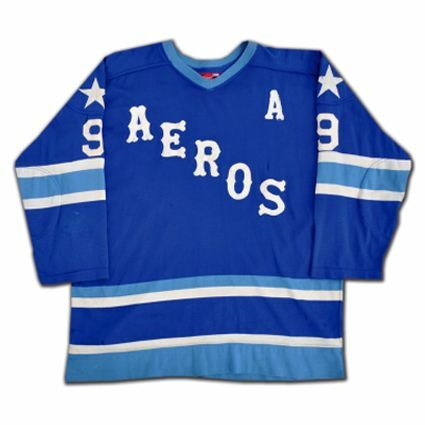 The Aeros, led in scoring by Gord Labossiere's 96 points in 78 games, had a cast of inexperienced journeymen players with an absolute minimum NHL experience, unlike other teams like the Quebec Nordiques, who could boast of long-time Montreal Canadien J. C. Tremblay or the Winnipeg Jets star Bobby Hull. Still, the Aeros finished second in the West Division and qualified for the playoffs and won a round before their season ended. Things changed, and in the biggest way possible, for the 1973-74 season. 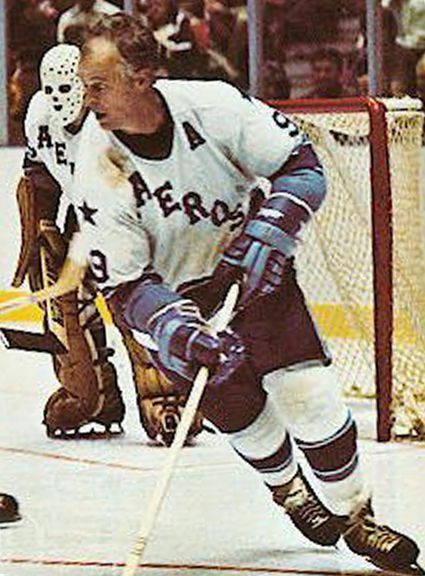 The Aeros had signed brothers Mark Howe and Marty Howe to a pair of four-year, $400,000 contracts in early June of 1973 and two weeks later, they lured the boys' father and NHL legend, the 45-year-old Gordie, who had already been inducted into the Hockey Hall of Fame following his retirement from the Detroit Red Wings after 25 seasons back in 1971. It's safe to say that Howe's 1,687 games of NHL experience was greater than the rest of the Aeros roster combined. 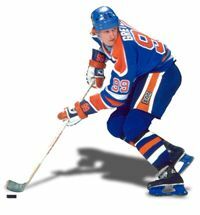 His return to the ice made him the first player to ever return to action after being inducted into the Hall of Fame. "My only regret is I'm sorry I'm not the Gordie Howe I was ten years ago to fulfill the goals the Aeros have in store for me. It's not too often an individual gets a second chance and that's what the Aeros have given me," Howe said. "A chance to play with my sons." 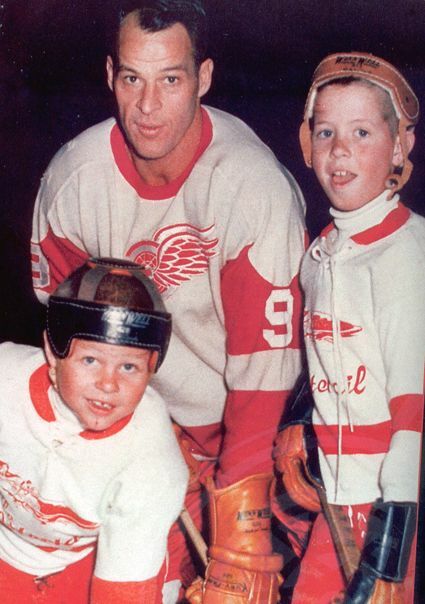 Gordie had surgery to improve his arthitic bad wrist and relished the opportunity to play with his sons. 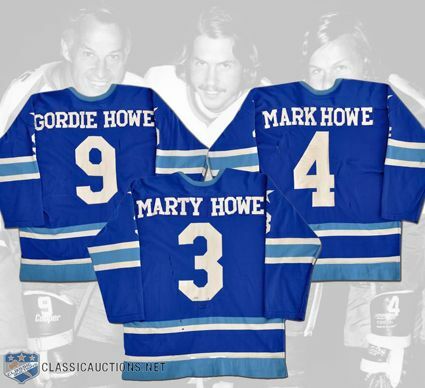 The elder Howe's well-earned reputation for toughness ensured that his son's would have plenty of time and space to learn their craft professionally, as any player who laid a big hit on Mark or Marty was sure to be paid back with interest by Gordie at the first available opportunity! 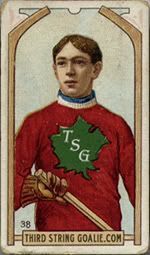 Gordie immediately led the team in scoring with an even 100 points, good for third place in the league, as the Aeros had the best record in the league by 11 points. Additionally, Gordie was also named the league's Most Valuable Player in 1974, a trophy that would be renamed in his honor in 1976 - while he was still an active player! 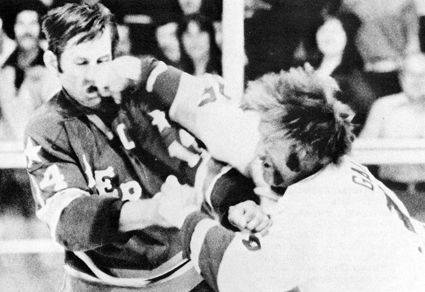 In the playoffs that season Houston swept the Jets in four and survived an all out war with the Minnesota Fighting Saints in six games to advance to the Avco Cup Finals. Once in the finals, the Aeros swept the Chicago Cougars in four straight, giving the Aeros their first WHA title and Howe his first championship since back in 1955 with Detroit. Following the overwhelming success of the 1972 Summit Series between Canada's NHL professionals versus the Soviet Union, a second attempt to catch lightning in a bottle happened in 1974 when the best players of the WHA took on the Soviets. 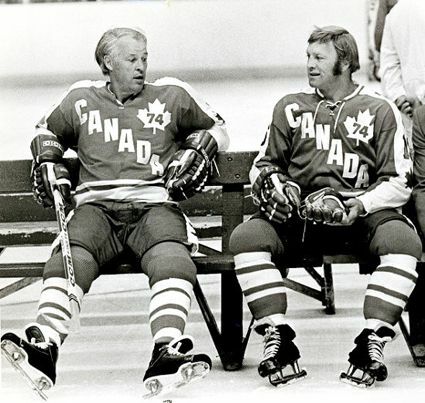 During 1972, Howe was in retirement and did not participate, while Bobby Hull was blacklisted for having jumped from the NHL to the WHA at the time, but both featured in the 1974 edition. Also, wherever Gordie went, so did Mark and Marty, who where both also on the Team Canada roster. After starting out with a tie and a 4-1 win, Canada looked to be competitive with the Soviets, but the last six games saw the Soviets win 4 with a pair of ties, giving the Soviets the series 4-1-3. 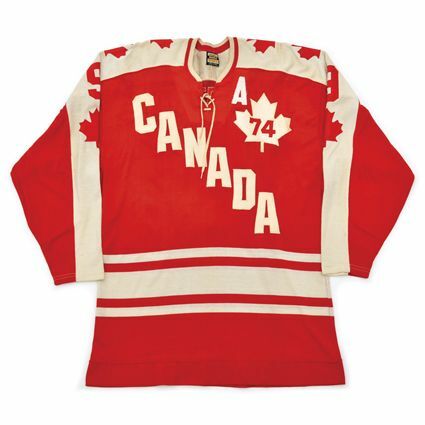 The 1974 Summit Series would be Howe's only international competition of his career. He would finish fourth in tournament scoring with 3 goals and 7 points in the 8 games of the series. The original expectation in 1973 was that Gordie, who also signed a four-year contract, would play one year and then move into the team's front office. That was not to be however, as Gordie returned for a second WHA season. While Larry Lund led the club with 108 points, Gordie duplicated his output from the season prior with 99 points while Mark contributed 76 points from the blueline after 79 the year before. 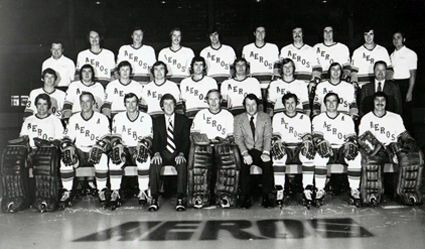 The Aeros again won the West Division with the league's best record by 14 points and dispatched the Cleveland Crusaders in five and the San Diego Mariners in four prior to sweeping the Nordiques in the finals to defend their title and become the first repeat winner in WHA history. Howe would once again lead the Aeros in scoring in 1975-76 with 102 points, 26 clear of his son Mark and Frank Hughes, but would only place 10th in the scoring race in the now wide-open WHA. Still, the Aeros were a solid all around team and once more led the league in regular season points with 106 points. The gap was narrowed to the rest of the league however, as Winnipeg tied them with 106, coming on one less win, and the Nordiques just two back at 104. 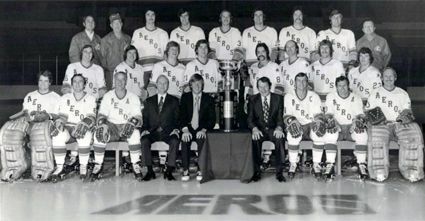 The battle tested Aeros knocked out the Mariners in six and the New England Whalers in seven, the first time anyone went the distance with Houston, to return to the finals for the third season in a row. The high powered Jets won a pair of one goal games in Houston and pulled away to win a pair of games back at home in Winnipeg to end the Aeros reign as league champions. The following season saw Gordie limited to 62 games and 68 points, yet once again the Aeros had the best regular season total for the fourth year in a row after the arrival of the Howe family. After defeating the Oilers in round one, the Jets once again ended the Aeros championship aspirations in six games in the semifinals in what would be his final game with the Aeros, as the Howe's contracts had now ended and they moved to the New England Whalers for the 1977-78 season. 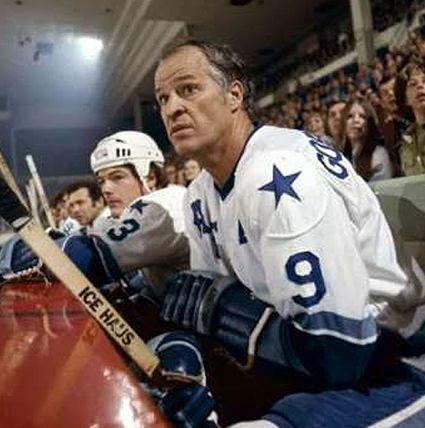 The addition of the Howes to the WHA in 1973 gave the league a huge boost in credibility and exposure while allowing the legend of "Mr. Hockey" to continue to grow. 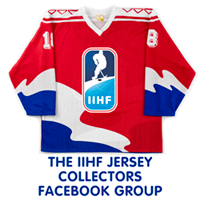 Today's featured jersey is a 1973-74 Houston Aeros Gordie Howe jersey. 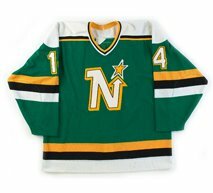 This classic jersey combines a vintage font running diagonally across the front in the time-honored manner paired with a simple striping pattern topped off with a star on each shoulder proving less is more when it comes to an effective and timeless hockey jersey. 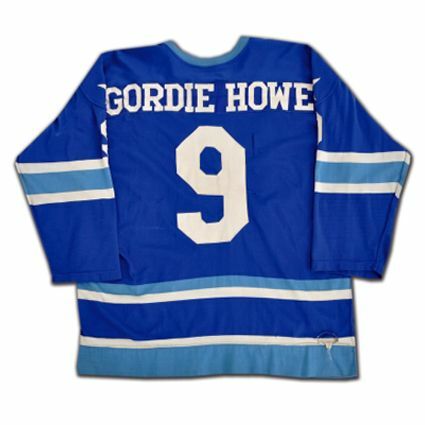 Research indicates that the "G. Howe" variation was from the pre-season of Howe's first year with Houston, meaning all genuine Howe Aeros game worn jerseys should have his full name on the back. Bonus jerseys: Today's bonus jerseys are the trio of Mark, Gordie and Marty's 1973-74 Houston Aeros jerseys all pictured here together. 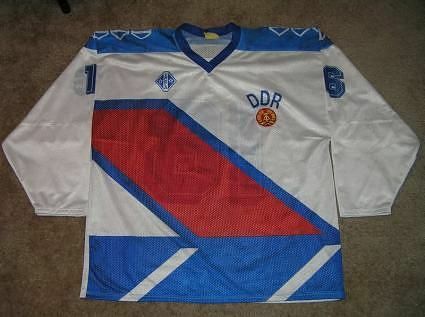 Extra bonus jersey: Today's extra bonus jersey is a Team Canada 1974 Summit Series Gordie Howe jersey. 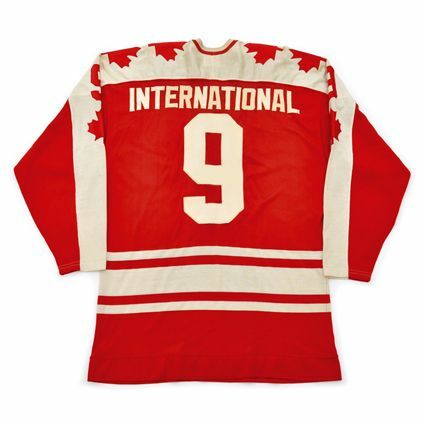 Oddly, the jerseys worn by the Canadians in 1974 did not have the players names on the back, and instead all read "INTERNATIONAL", unlike the 1972 Team Canada jerseys, which all had "CANADA" rather than the player names.